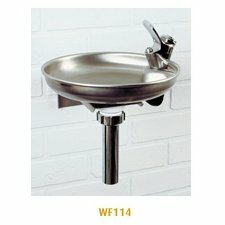 A wall mountain drinking fountain manufactured from 304 grade stainless steel. 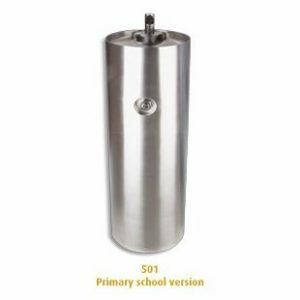 Requires a mains water supply and waste. Strainer fitted to the inlet to stop debris blocking up the bubbler cartridge. 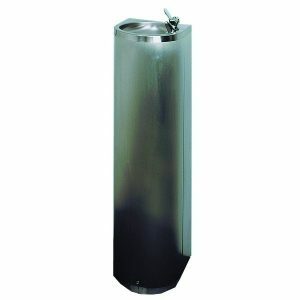 Supplied with a 32mm running trap. 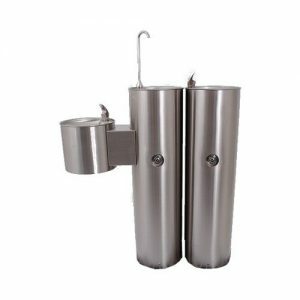 Maestro Pressure Coolers most popular selling wall mounted drinking fountain is the 43P, together with derivatives 56V and 46P. With its semi-circular shape, it has a front push button that activates a projector on the right front corner. 56V is the same unit but has been made vandal resistant by the added guards covering the projector and push button. Unusual is model 771 that has a flying saucer design and is suitable for many prestigious locations.